“Help! I have an audition coming up…do you have any advice?” This question pops up on instructor forums over and over. ICA has provided a quick checklist on how to give a very short audition, but in this series we want to provide a more in-depth, practical guide to auditioning. This three-part series will cover how to prepare for an upcoming audition to make sure all your bases are covered, what to do in the audition itself, and what to do post-audition, including how to handle rejection. In part 1, here are six practical steps you should take to ensure you are as well prepared for your audition as possible. Note that these are primarily targeted at a studio or club that you are not fully familiar with. 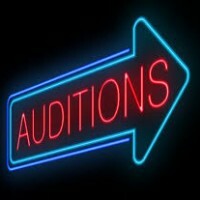 Now that you have done all the background checks and you know what to expect and what is expected of you, you can prepare your audition. Join us for part 2. I would agree these steps will help you minimize surprises so during the audition you can focus on the delivery and impact.